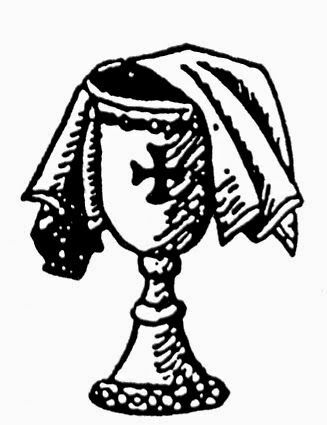 We have approached the chalice of the Lord, we have been at the Supper of the Lord. Glory to Thee, O God! Glory to Thee, O God! Glory to Thee, O God! Now is the great day of the Lord! The most glorious celebration in heaven! There is no city, nor village, nor house, where there are no people receiving Holy Communion. Across the breadth of Russia, throughout the south and east, so many people clothed in the white garments of justification have tasted of the Divine life, and have most sincerely united themselves with the Lord! The Lord’s Body has been renewed — the Body of the Church, and has been clothed in the glory belonging to it, hidden from the eyes of man, but visible to the eyes of angels. The angels worshipped the First-born when He was brought to the world in His power; now they have worshipped Him because the world has been brought again to Him. They have worshipped Him and sung out: "Thy throne, O God, is for ever and ever: the sceptre of Thy kingdom is a right sceptre; Thou lovest righteousness, and hatest wickedness" (Ps. 45:6–7).